I just watched five fights from Ben Askren and I agree with the OP and everyone else who believes Ben deserves an opportunity. His fluidity in going from one hold to the next is unreal and I get the biggest grin on my face seeing his wrestling acumen fleshed out in the octagon. The guy more than has the credentials to affix his signature on a UFC contract (13+ fights, two time NCAA Champion, 2008 Olympian). Dana White needs to get over himself. At least in the meantime Wrestling still has a strong presence in UFC with Chris Weidman as Middleweight Champion. Guys, anyone who views my profile knows that I am completely new to the world of Amateur Wrestling at all levels. Normally, I try and understand the more technical aspects of a new sport or interest before diving right in. However, I felt an excitement about taking this journey and so I decided that my education in this would be more on the auditory-visual level. 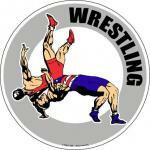 I am watching the Wrestling Men's Freestyle Finals and am blown away by the performances of these fine athletes. In particular, Russia, Tunisia, and Turkmenistan's representatives absolutely floored me with their dominance. On top of that, I feel like I am genuinely learning while watching thanks to commentary. This is what I have learned so far: Technical Superiority- A form of victory that is attained when one wrestler has a ten point gap over another. Take downs are worth two points Throws are worth four points (Specifically, points are awarded if you can successfully get a wrestler on their back.) I know the commentator also said how much reversals and pin attempts were worth but I cannot recollect the correct valuation. I believe they are worth one and three points respectively but someone correct me if I am wrong. Overall, I am loving every second of this and am eager to return to this when I submit my post. I have to say my favorite bouts from the ones I watched were from Russia and Tunisia respectively.Can't wait to watch more video as I feel this is the best and most entertaining way to learn.